In January, the Fellowship kicked off a project to explore MMUUF’s future. 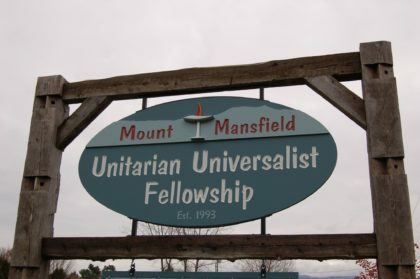 We’ll meet and talk together over the next few months, to reflect on where we’ve been and consider where we are called to go next as a UU community. “The Road Ahead” committee will guide us, as we consider big questions. add professional ministry to our current lay-led ministry? explore Small Group Ministry as another approach to shared ministry? renovate our building to make better use of our space? take on more social justice projects? The committee will host at least three meetings, on the third Sundays in January, February and March. At each meeting we’ll explore these questions and see what answers emerge. Also, the committee conducted a survey to hear initial thoughts from our Fellowship. If you are interested in MMUUF please participate! You don’t need to be a member. Come to a meeting, or feel free to talk with the Road Ahead committee or the Steering Committee about your hopes, dreams, ideas or concerns about MMUUF’s future. Halloween Party Oct. 30 5:30-7:30 p.m. Enjoy summer! MMUUF services resume Sunday September 9, 9:30 a.m.